The RetroGamer Toolbar is a browser extension developed by Mindspark Interactive Network, Inc. This company offers computer users a great variety of browser extensions, the majority of which are designed to match the user’s interests. As the name of this browser extension suggests, the program is aimed at game players. The RetroGamer Toolbar enables you to visit various online gaming websites with one click, but, if you have no intention of playing games promoted by the RetroGamer Toolbar, remove the extension from the computer. RetroGamer is promoted at retrogamer.com. It has been observed that almost every Mindspark product we have analyzed has its official websites. However, it is important to note that Mindspark extensions can be bundled with other free programs, which means that an installation of some media player may end up with the RetroGamer Toolbar’s running on your PC. In order to prevent additional programs, you should be very attentive when installing any free program. Not only does the RetroGamer Toolbar allow you to quickly access various websites; it also provides you with access to the search engine Ask.com. This search engine can be found on a great many products of Mindspark, and, if you want to prevent unwanted changes on your browsers, be cautious. It is crucial to pay close attention to every installation so that can you can prevent alteration in your browser settings. If you ignore the information provided by the installer of the RetroGamer Toolbar, your home page is set to home.tb.ask.com, whereas the default search provider is changed to Ask.com. As regards the home page of the search engine, it may seem to be very user-friendly because it contains links to popular websites, such as Facebook, Twitter, YouTUbe, Wikipedia, Instagram, eBay, and some others. If you have the RetroGamer Toolbar on your browsers, you have probably noticed that the search engine is advertising-supported. The display of sponsored links or advertisements is one of the major means to earn money, and, although Ask.com declares that they seek to provide the user with relevant advertisements, you should be alert to the possibility of finding irrelevant links. We advise you against interacting with Ask.com advertisements and encourage you to restore your former browser settings so that you can surf the Net as usual. Like many other search providers, Ask.com, as well as the toolbar, monitors your online behavior. That means that certain tracking techniques are used to records your preferences, browser settings, and some other information related to your browsing sessions. The same or very similar details are collected by Mindspark, which is interested in your interaction with the RetroGamer Toolbar. In order to put an end to the RetroGamer Toolbar and start browsing as usual, you should implement a powerful security program or try removing the extension manually. Our advice is that you rely on a reputable security program, because, by implementing a powerful malware removal program, you shield the system against various threats. We recommend using SpyHunter, because this program easily removes the RetroGamer Toolbar and fights off Trojan horses, browser hijackers, adware program, and many other malicious programs. In the pop-up menu, select Control Panel. Click Uninstall a program and remove RetroGamer. Click the Add or Remove Programs option and remove the unwanted application. Press Alt+T and Manage Add-ons. Click Search Providers and set your new default search provider. Press Alt+F and move the pointer to Tools. 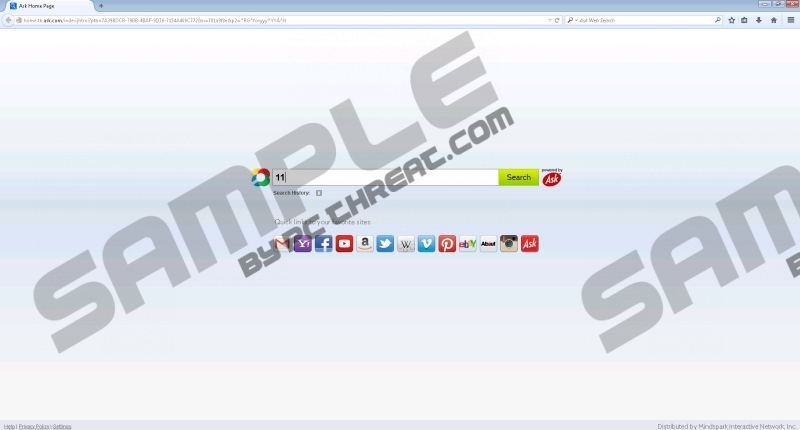 Click the search engine icon next to the search box and set a new default search provider. If you want to be sure that you have entirely removed the RetroGamer extension, implement the scanner available below. The program is free of charge, so, if you want to have the operating system examined, act right now. Quick & tested solution for RetroGamer Toolbar removal.